Mike Ey, a 30-year-old software engineer for Microsoft's HoloLens, was killed in a hit-and-run accident over the weekend, according to the local Seattle station Kiro TV. According to Kiro TV (via NeoGAF), local police said that Ey was rear-ended by another driver who was speeding "over 100 miles an hour" while driving on the highway "early Saturday morning." Robert Malsch, the driver who hit Ey, fled the scene following the car crash. Police later apprehended Malsch and charged him with vehicular homicide and a felony hit-and-run. 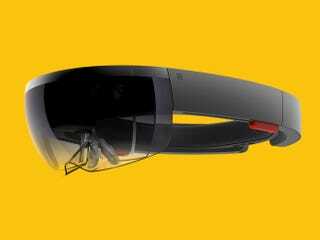 Kelley Piering, Ey's girlfriend, told Kiro TV that he'd described the HoloLens as "the coolest thing ever." "It's looking at the future while holding the present," she added. "Mike said it wasn't perfect but it was going to be one day."